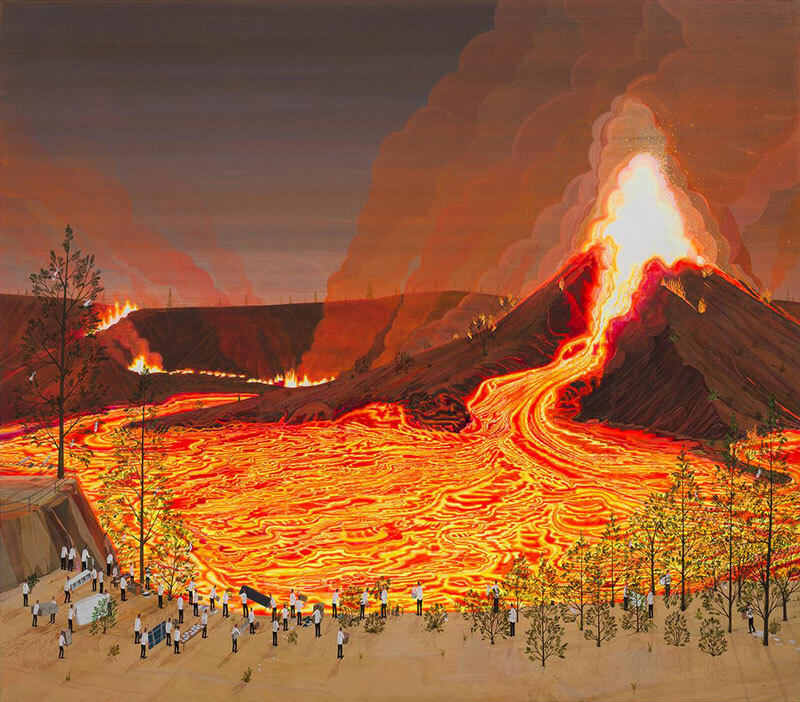 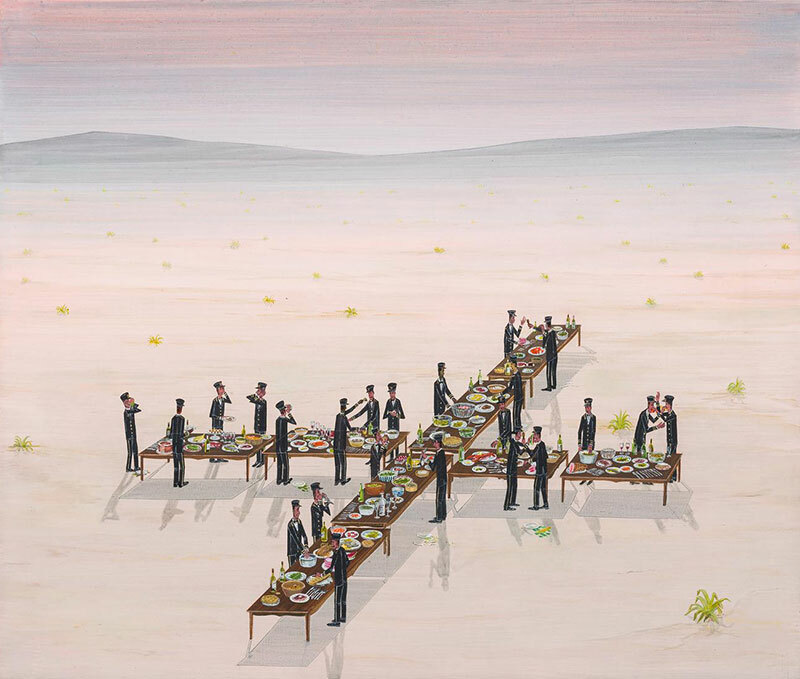 Paintings of groups of men assessing the situation in front of them by Los Angeles-based artist Ian Davis. 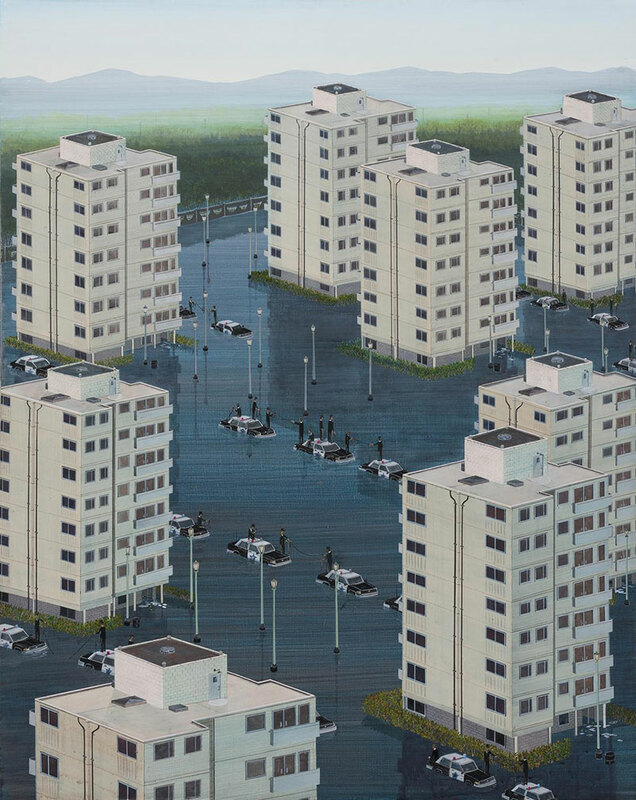 The men are identically-dressed in vocational clothes—business suits, lab coats, clerical frocks, hi-vis vests or military drab—and are depicted looking at natural disasters, researching or designing, eating meals together, and gathering to protect resources. 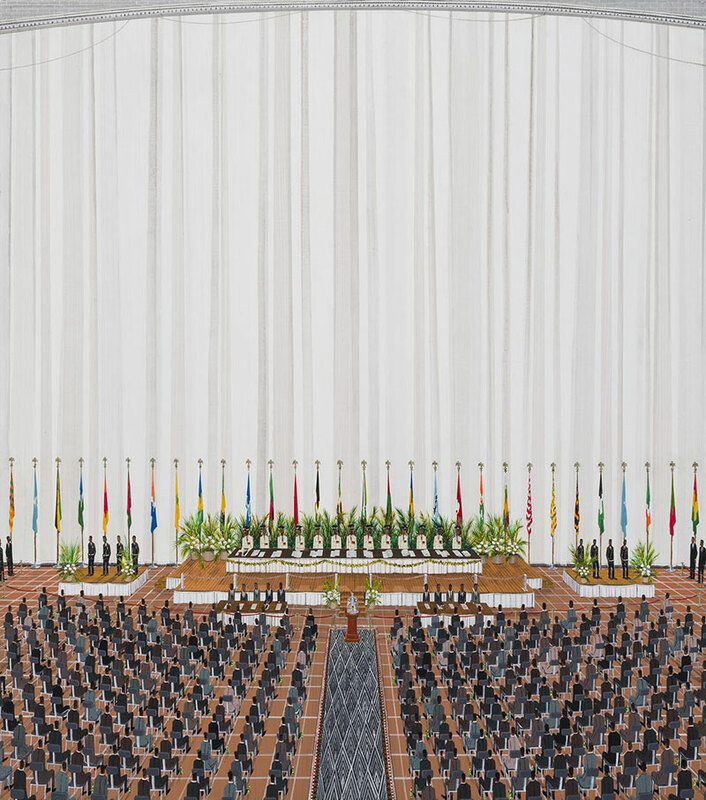 The paintings are political allegories of bureaucratic autocracy and despite the outward appearance of their purpose, the men are seldom active and are just bystanders. 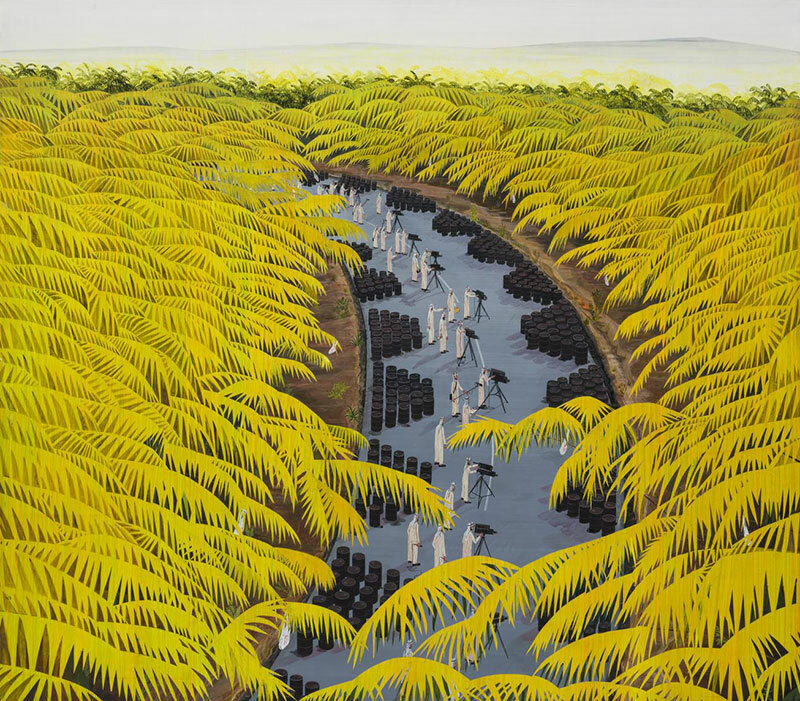 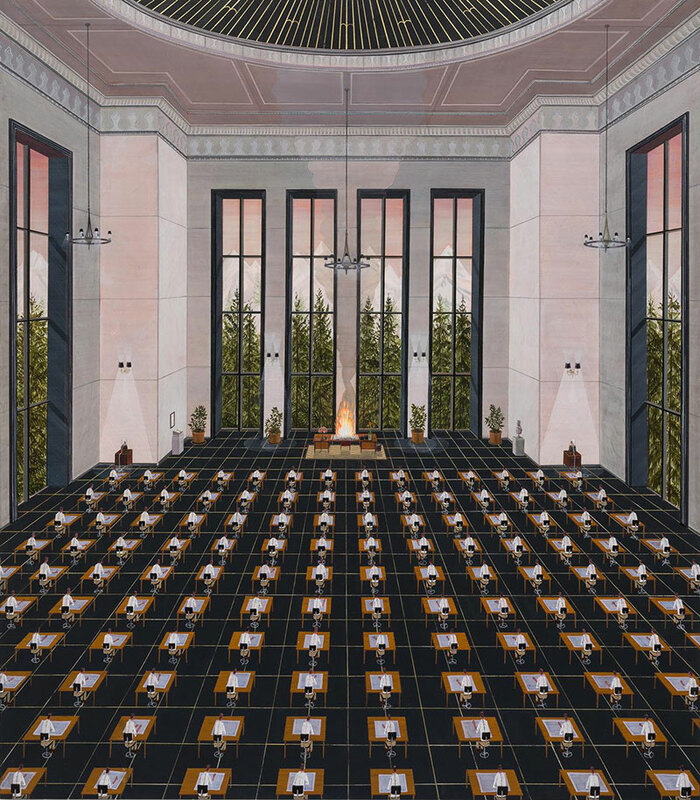 The paintings have a complex geometry that tightens the psychological effect of the scenes and also carry a sense of narrative, only to be obscured by its order and uniformity. 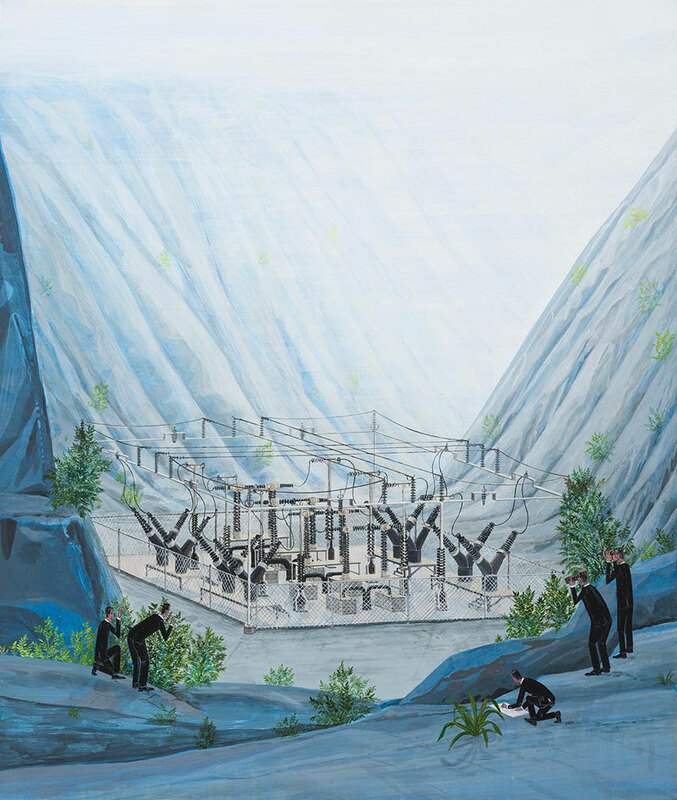 On view at Josh Lilley Gallery through August 13. 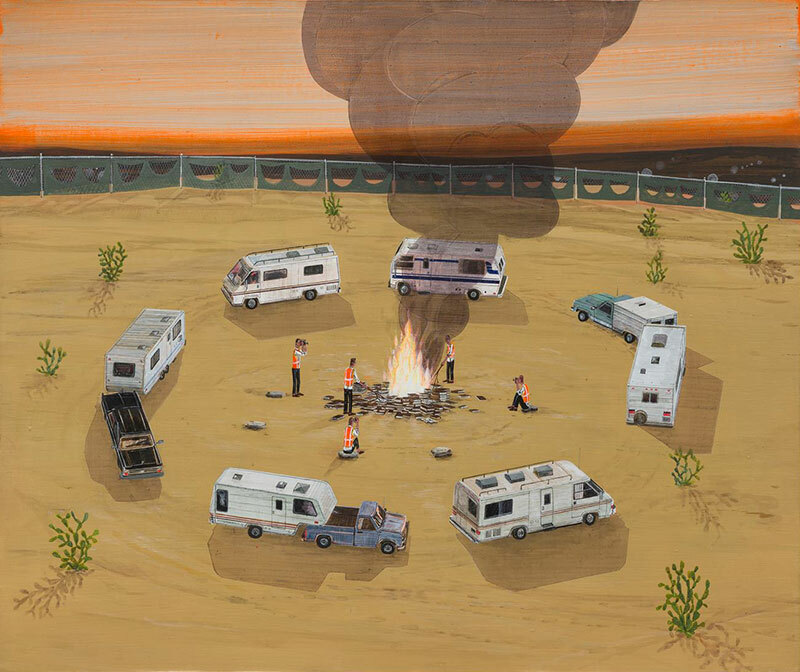 Paintings of groups of men assessing the situation in front of them by Los Angeles-based artist Ian Davis.